Krishna, 40, was elected as senator in March 2018 after spending many years working for the rights of bonded labourers in Muslim-majority Pakistan. 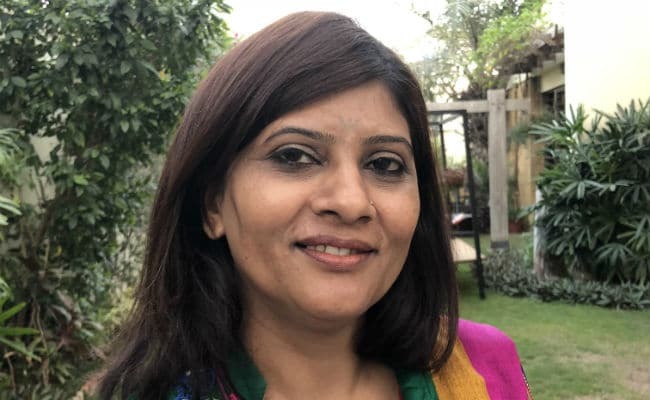 Krishna Kumari Kohli, Pakistan's first female senator from the Hindu Dalit community, on Friday chaired the session of the upper house of parliament on occasion of International Women's Day. "Chairman Senate of Pakistan decided to make our colleague Krishna Kumari Kohli aka Kishoo Bai to Chair the Senate for today on Women's Day," Senator Faisal Javed tweeted. Krishna, 40, was elected as senator in March 2018 after spending many years working for the rights of bonded labourers in Muslim-majority Pakistan. She is the first Thari Hindu woman to be elected to the Pakistan senate. She belongs to the Kohli community from the remote village of Dhana Gam in Nagarparkar area of Sindh province where a sizeable number of Hindus live. "I consider myself very fortunate today to be sitting on this seat...," she said before starting the session. International Women's Day is observed across the world on March 8. Born to a poor peasant, Jugno Kolhi, in February 1979, Krishna and her family members spent nearly three years in a private jail owned by the landlord of Kunri of Umerkot district. She was a grade 3 student at the time when held captive. She was married to Lalchand at the age of 16, when she was studying in 9th grade. She pursued her studies and in 2013 she did masters in sociology from the Sindh University. She had joined the Pakistan Peoples Party as a social activist along with her brother, who was later elected as Chairman of Union Council Berano. Krishna's election to Senate represented a major milestone for women and minority rights in Pakistan.